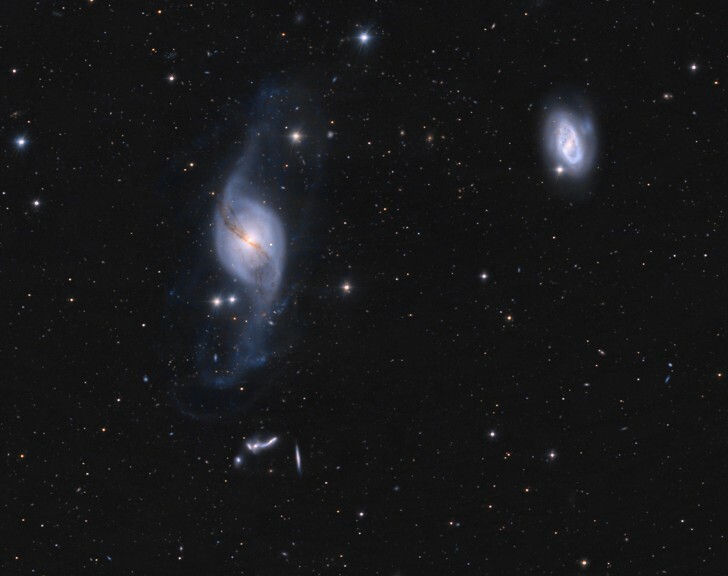 This is a composite image of the region around NGC3718. The overall image comes from the 60-inch telescope equiped with the 4kx4k CCD prime focus camera of the Catalina Sky Survey (CSS). Color data was supplied by observations with the Mt. Lemmon 12inch LX200 telescope and an SBIG ST7 CCD camera. Also included is color information from the Digitized Sky Survey (DSS). The image was obtained as part of Don McCarthy's University of Arizona Astronomy Camp. Credit: 2006 Astronomy Campers/Adam Block/Richard Kowalski, CSS, The University of Arizona Alumni Association, and The University Of Arizona. 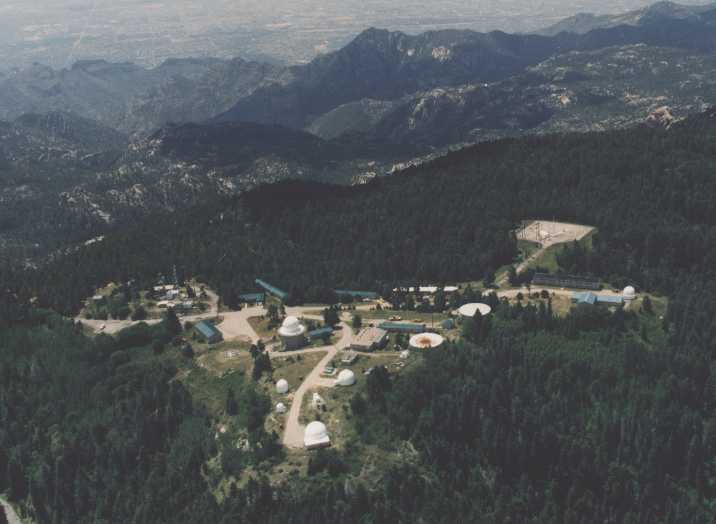 The 60" Cassegrain reflector operated by the Steward Observatory of The University of Arizona lies at an elevation of nearly 2800 m at the summit of Mount Lemmon in the Catalina Mountains north of Tucson. It consists of an f/2 parabolic primary mirror with two interchangeable secondaries to achieve Cassegrain focal ratios of either f/16 or f/45. In addition, the telescope can also be equipped with a CCD-mosaic camera at prime focus that provides images with about a 1°-wide field-of-view down to magnitude 22. This camera is used routinely by the Catalina Sky Survey (CSS) to discover and monitor near-earth asteroids and minor planets in the solar system. 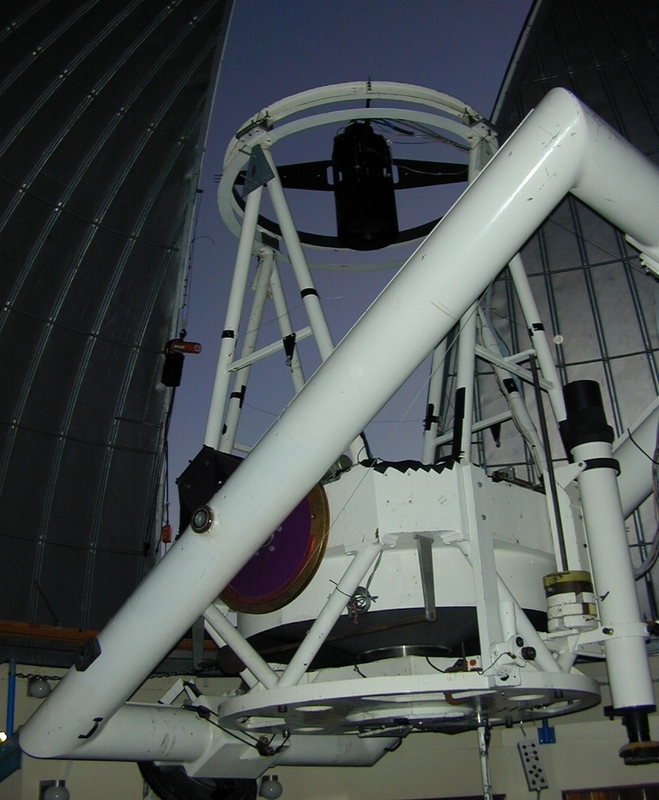 The telescope has a motorized, computer-controlled English yoke equatorial mount equipped with encoders for accurate positioning on the sky. The mount provides access to the sky in the declination range of +60° to -50°. 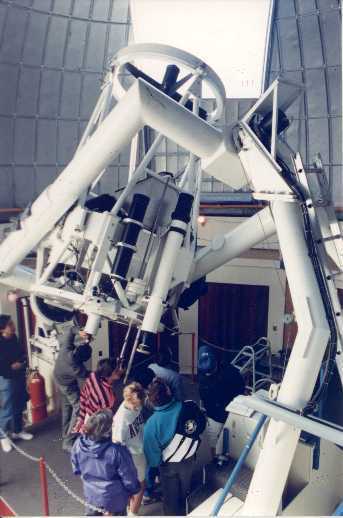 The 60" telescope is also a primary tool used in astronomy education programs such as "Astronomy Camp" sponsored by the Alumni Association of The University of Arizona. Both the Steward Observatory Mt. Lemmon 40 and 60-inch telescopes were developed at The University of Arizona's Lunar and Planetary Laboratory optics shop by optician Robbie Wayland. They are described in his book "Optics of the Cassegrain" (Carlton Press Corporation, December 1989). Astronomers from The University of Arizona, Arizona State University, and Northern Arizona University compete for observing time on the telescope. LATE ARRIVING OBSERVERS: If you arrive at the observatory after dark, you are REQUIRED to turn off your headlights after proceeding past the last gate! Careless observers arriving late can ruin observations. Please use your parking lights and drive slowly. Be aware that educational programs may be in progress, so be on the lookout for students and staff ranging all over the site. Observers needing keys to the facility now need to see Kelly Merrill in Room 358 (621-7659; kmerrill@as.arizona.edu). If Kelly is not available, keys can be checked out by observers from Room N205 (see Sharon Thomas within the Director's suite; 621-1829; sthomas@as.arizona.edu). Please make sure that you promptly return borrowed keys after the end of your run. Observers are able to connect their personal computers to the network via 10/100baseT Ethernet DHCP connectors installed at the 60". Observers! Often, there are changes made to the published telescope schedules to better accommodate scheduled observers. If you are interested in applying for TBS time, please consult the updated web version of the Steward Observatory telescope schedule to choose appropriate open nights. The 60" Trouble Report form can now be accessed from this page (see above). Elevation: 2790 m = 9154 ft.
Back to the Steward Observatory Home Page.